The Sunken Garden, sometimes referred to as the Sunken Gardens, is an open area for the relaxation and recreation of our students. It is located to the rear of the Wren Building, running southwest. Architect Charles M. Robinson first designed the Sunken Garden in the early 1920s, reportedly based on the gardens of the Chelsea Hospital in England, designed by Sir Christopher Wren. The idea was delayed at this point due to budget concerns, but reconsidered in 1933 at the recommendation of President Julian A. C. Chandler. 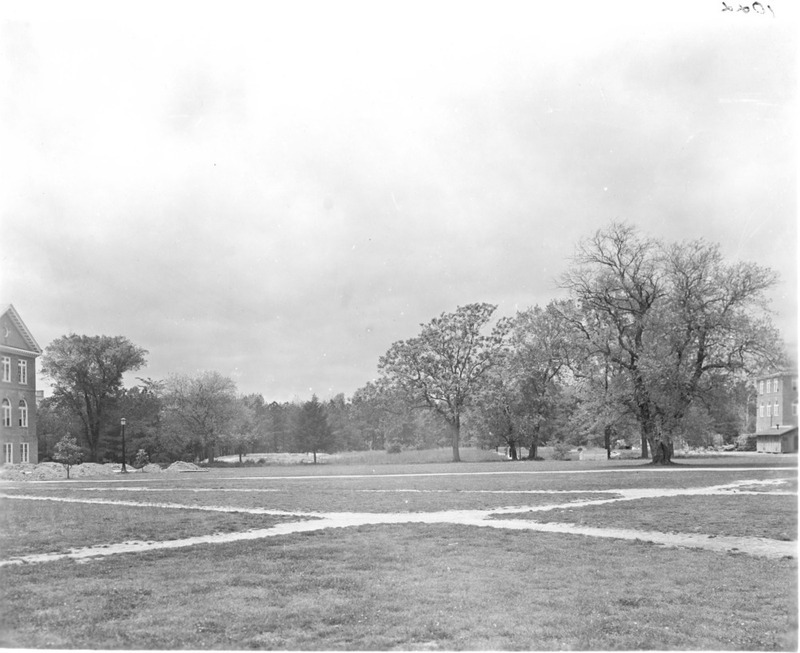 At this time, a Civilian Conservation Corps Camp had been assigned to William & Mary for the purpose of beautifying and improving the grounds. The renowned landscape architect, Charles F. Gillette was employed to supervise the work, which was executed in 1935 and 1936. 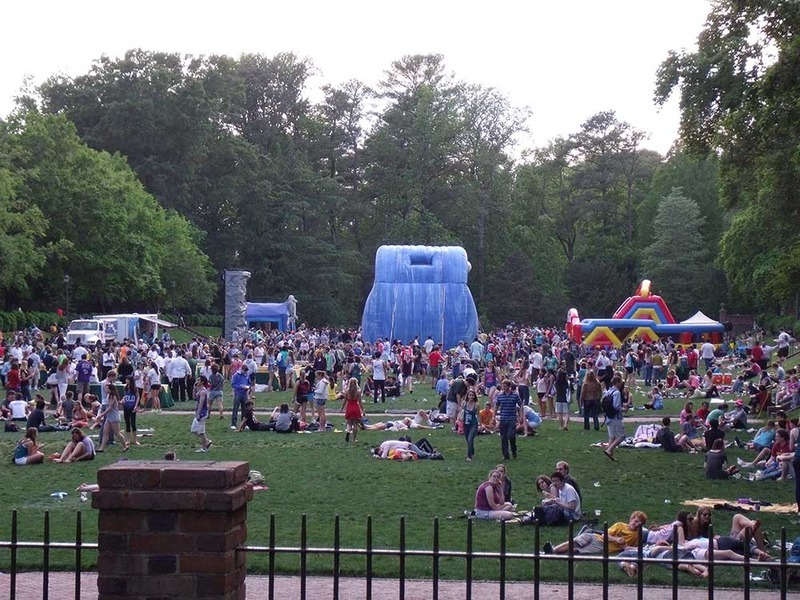 A number of events are held in the Sunken Garden, including dances, picnics, receptions, concerts, and the student body’s Last Day of Classes celebration. Sunken Garden, circa 2007: A view of the Sunken Garden from the Wren Building, circa 2007. ~ Source: University Archives Photograph Collection, UA 8. ~ Creator: College of William and Mary. 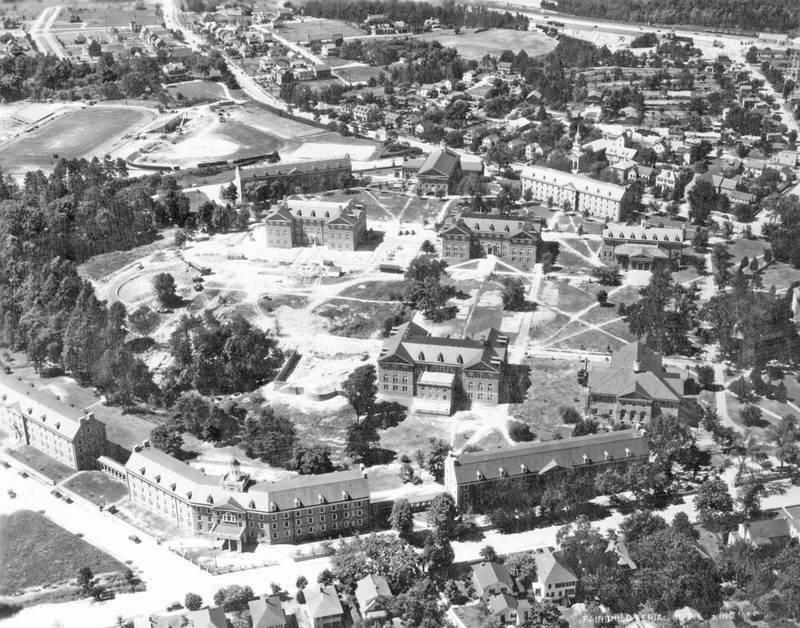 Campus, circa 1908-1930: Aerial view of campus before the Sunken Garden with Old Library (center), Science Hall (below library), and the gym (bottom left) present. ~ Source: University Archives Photograph Collection, UA 8. ~ Creator: College of William and Mary. 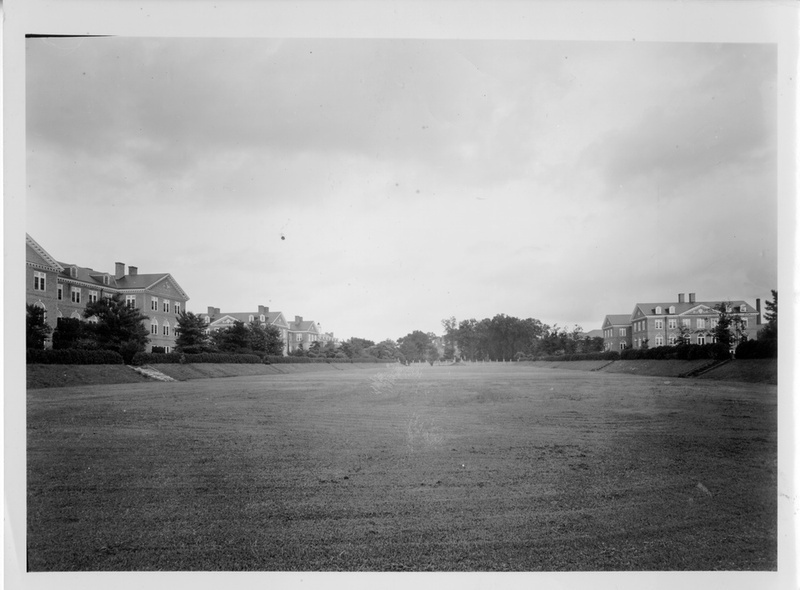 Pre-Sunken Garden, circa 1935: Pathway on William & Mary campus before the construction of the Sunken Garden, circa 1935. ~ Source: University Archives Photograph Collection, UA 8. ~ Creator: College of William and Mary. 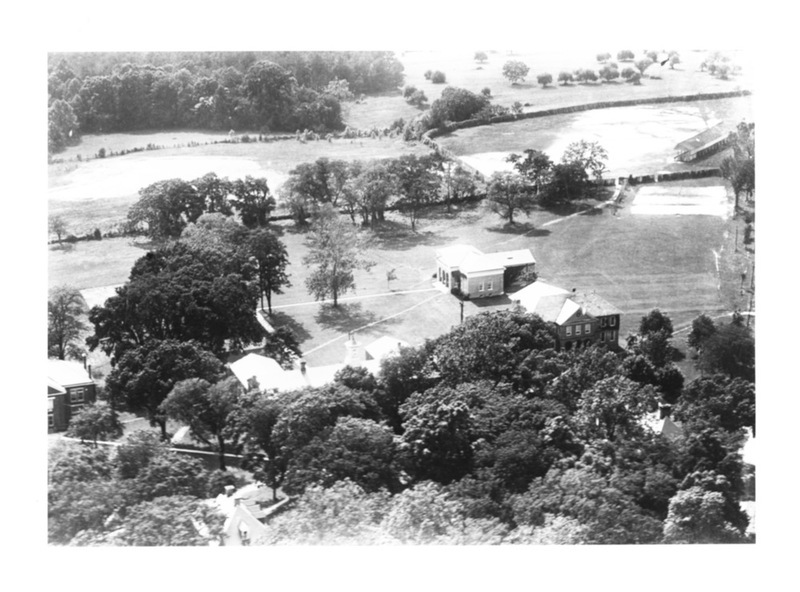 Construction of Sunken Garden, circa 1935: Aerial photo of campus featuring the construction of the Sunken Garden. ~ Source: University Archives Photograph Collection, UA 8. ~ Creator: College of William and Mary. Sunken Garden, undated: Sunken Garden view from the rear gallery of the Wren Building, undated. ~ Source: University Archives Photograph Collection, UA 8. ~ Creator: College of William and Mary. 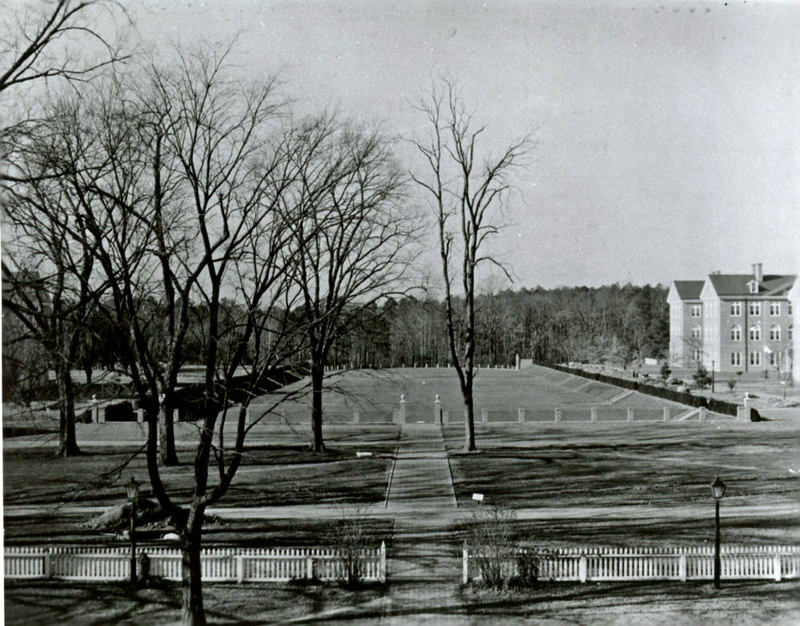 Sunken Garden, circa 1935: View of the Sunken Garden looking toward the Wren Building, circa 1935. ~ Source: University Archives Photograph Collection, UA 8. ~ Creator: College of William and Mary. 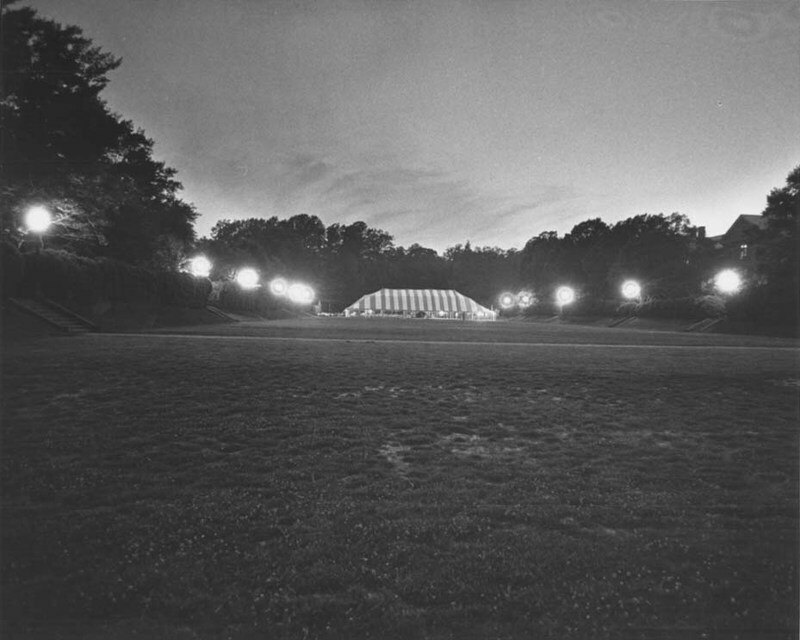 Event on the Sunken Garden, undated: The Sunken Garden set up for an event. ~ Source: University Archives Photograph Collection, UA 8. ~ Creator: College of William and Mary. 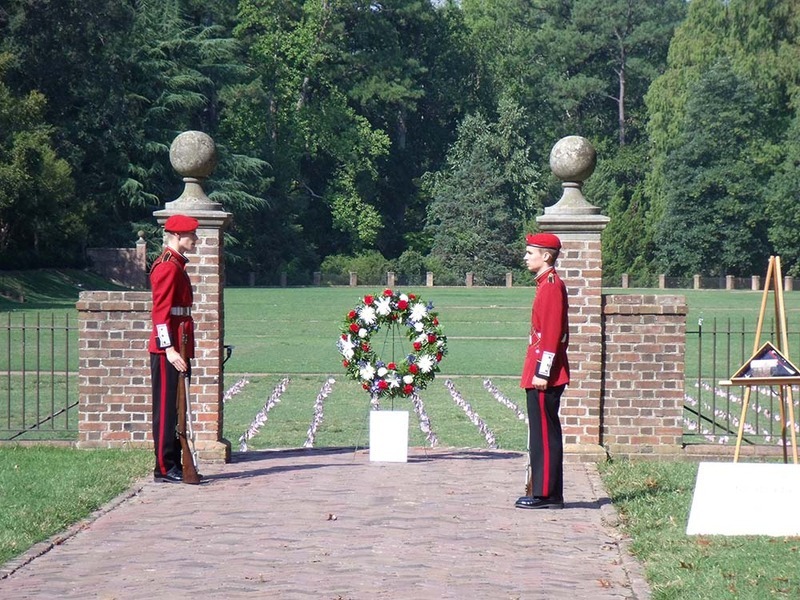 Sunken Garden 9/11 memorial, September 11, 2011: The Queen's Guard with the 9/11 memorial wreath at the head of the Sunken Garden in commemoration of the tenth anniversary of 9/11 on September 11, 2011. ~ Source: University Archives Photograph Collection, UA 8. ~ Creator: College of William and Mary. Last Day of Classes Celebration on the Sunken Garden, 2012: Students relaxing on the Sunken Garden on the last day of classes at William & Mary on April 27, 2012, a celebration that occurs at the end of the spring semester. ~ Source: University Archives Photograph Collection, UA 8. ~ Creator: College of William and Mary. 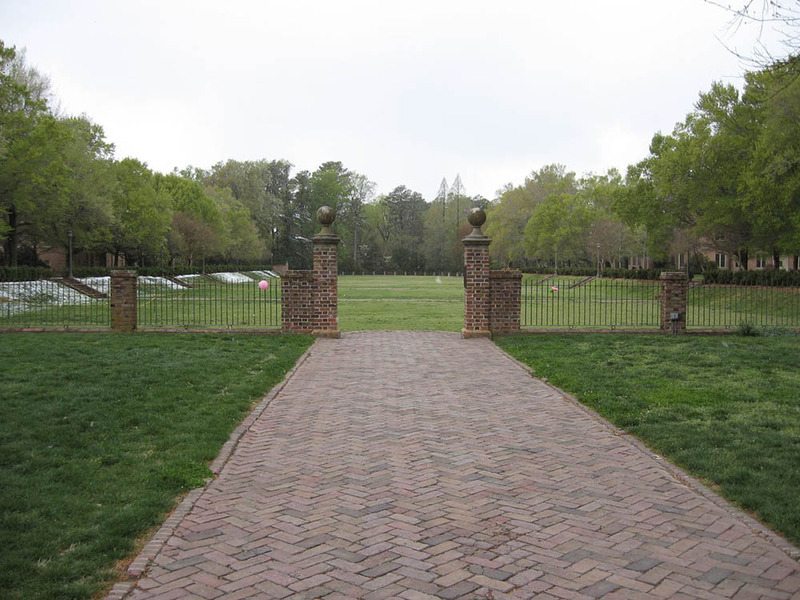 Special Collections Research Center, Swem Library, College of William and Mary., “Sunken Garden, Constructed 1935-1936,” TribeTrek, accessed April 26, 2019, https://tribetrek.wm.edu/items/show/10.